Hello, after years (FOUR YEARS!) of pattern developing I have finally completed The Perfect Scripture Case. 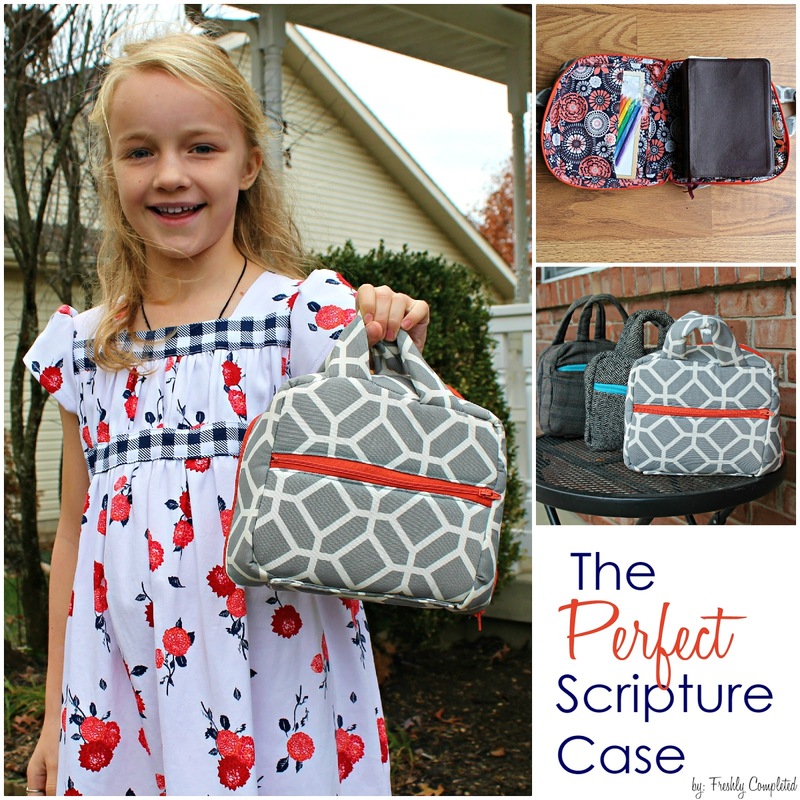 The Perfect Scripture Case— this ideal scripture case sewn with love, is made to fit one regular size Bible and Book of Mormon or a regular sized scripture Quad. 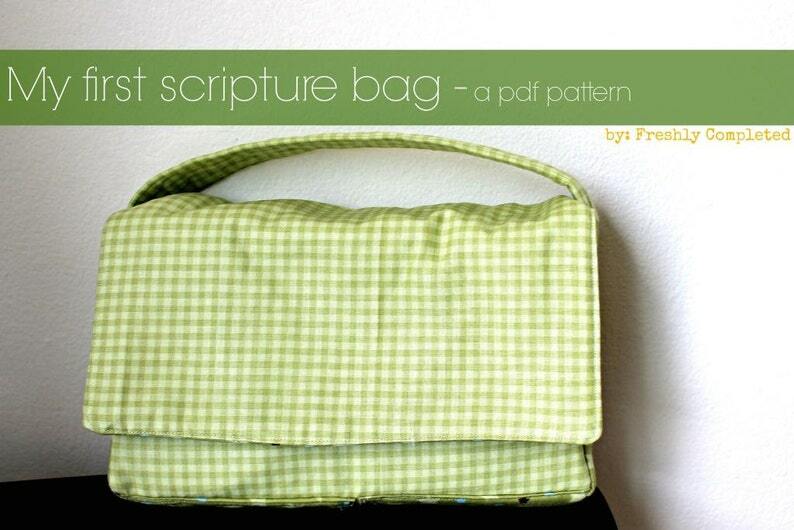 see "My First Scripture Bag" pattern on Etsy. Well, I finally got it to a level where it's ready to be tested. This scripture case is fully lined with three different pockets for storage. Pattern includes: flex-foam for a fully padded case, two soft perfect-fit handles, two zippers, three fully lined pockets, and all finished seams! If you are interested in being a pattern tester please fill out THIS FORM. Now CLOSED. Thanks for all who showed interest! All work should be done by April 5th. 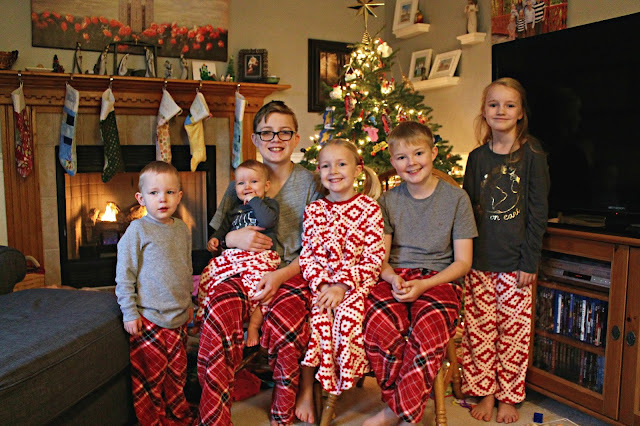 This year I told the kids, "Children, I am not sewing homemade Pajamas this year. I'm too busy. There's no time. I have SIX KIDS! 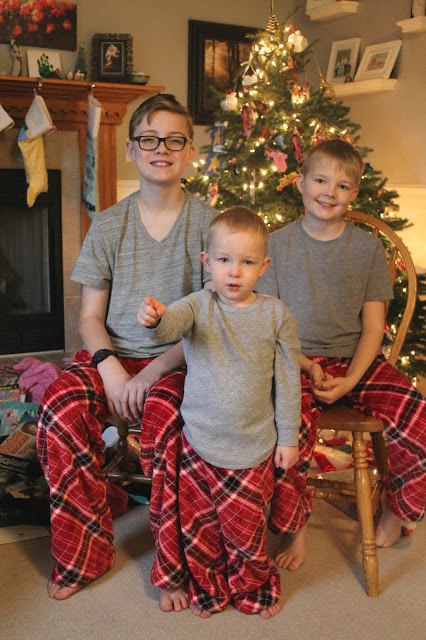 I don't want to be in my sewing room on Christmas Eve sewing, as I miss family time. I'm just going to buy them." 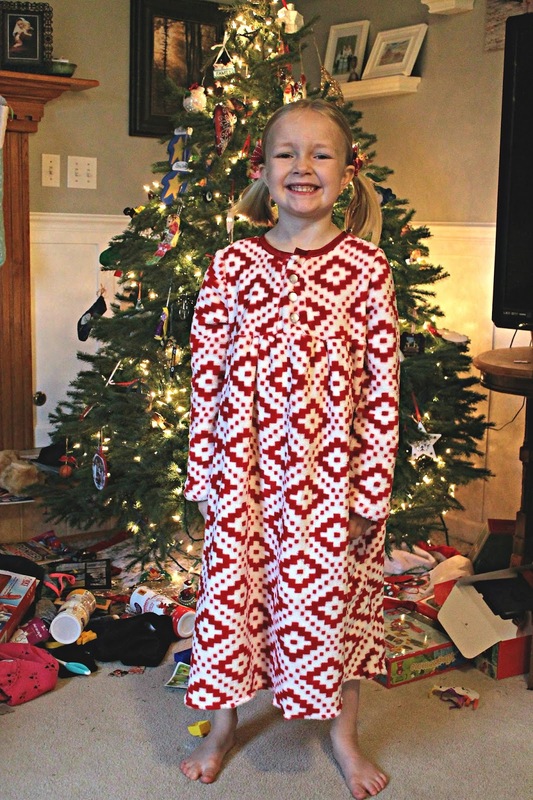 And so I got on all four Christmas Wish Lists, "Homemade PJs by mom." So, guess who was frantically sewing on Christmas Eve....? These kids are lucky I love them so much. 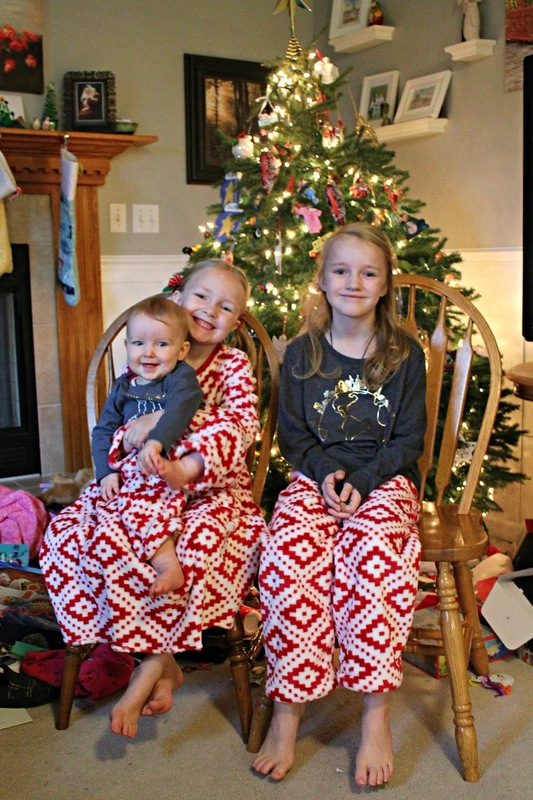 And, yes, I think it's very sweet that they love my homemade Pjs. 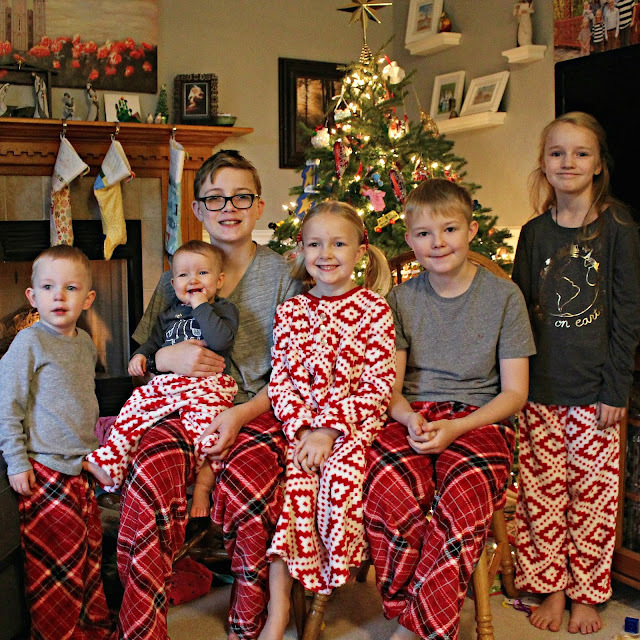 On Christmas Eve when I revealed the Pjs they were SO thrilled that I had made something for them. The fabric is super snuggly soft and kids look awfully cute! I try to cut down my work as much as possible and buy the T-shirts and sew the pants. My Go-To is Oliver + S's "Sunny Day Shorts" Free pattern. Then I add on the length needed to make them long pants. I've made these pants so many times, I almost have the pattern memorized. For Baby I sewed her the "Lullaby Layette pants" in size 12-18 months. 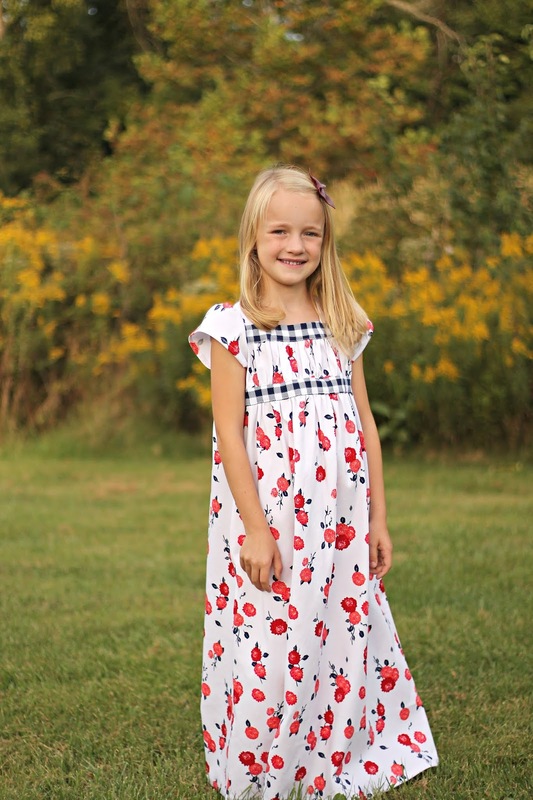 I made this girl a nightgown last year using the "Building Block Dress" Book and she loved it so much and wore it almost every night through winter and summer. So I decided to make another nightgown for her, but this time two sizes bigger than last years. 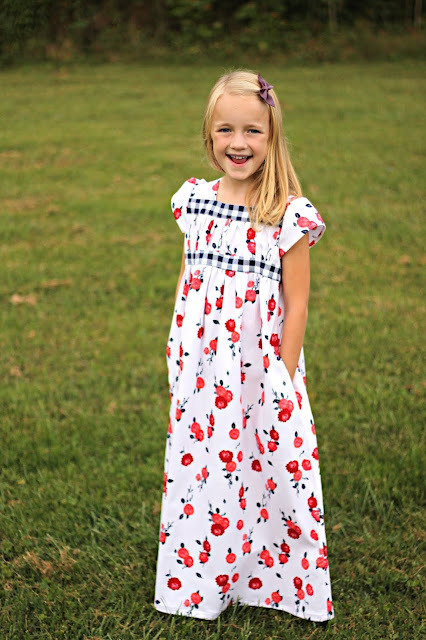 She's growing so tall so fast, a size 8 fits this six year old perfect. Next year I have grand schemes to sew Christmas PJs in JULY. 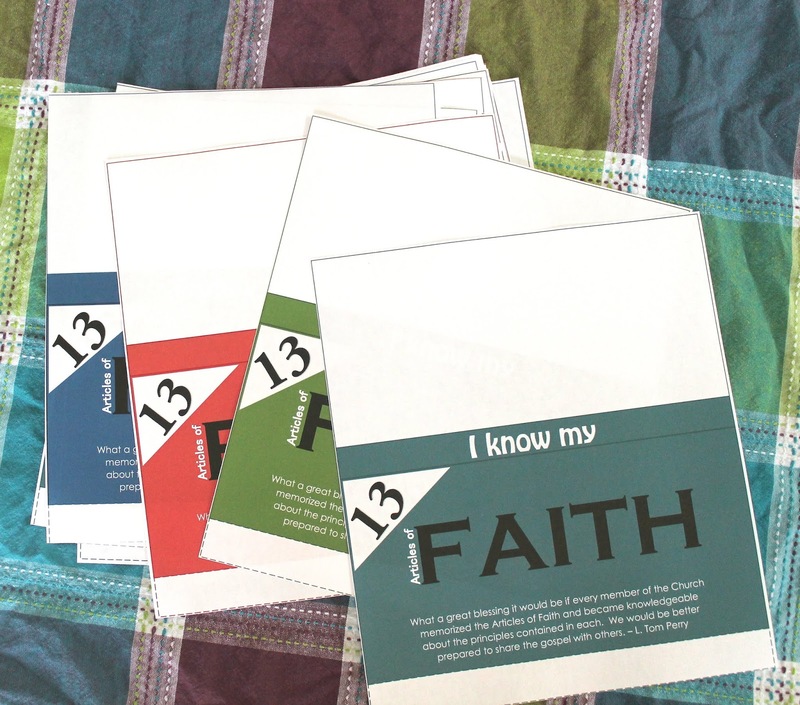 This past year our Primary has been working on memorizing the 13 Articles of Faith. There are many ways to do it, but here's how we organized everything. When we introduced the idea to our primary children we gave them these Article of Faith cards from distribution. They were really beautiful and great quality! 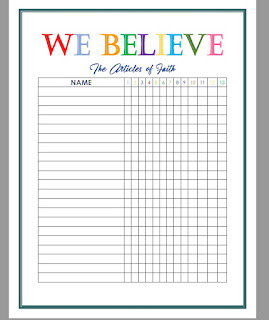 We also gave the children these Article of Faith punch trackers to keep for their own record. We printed them as photos and had each child write their own name with Sharpie on the front. As we passed out these two things we warned the children that these were not replaceable if they were lost (which inevitable, many were). Each month (for 13 months) we would sing one of the Article of Faith songs in order, for our opening song. 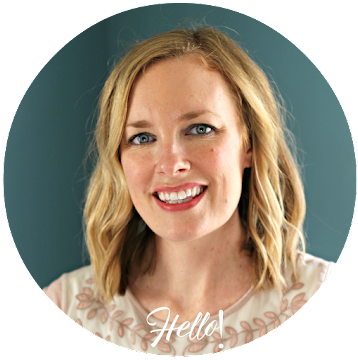 On the first Sunday of each month we would discuss the newest AoF and what it meant. We encouraged the children, with the help of their families, to work on memorizing these at home. Then we told them of the rewards for memorizing the 13 Articles of Faith. 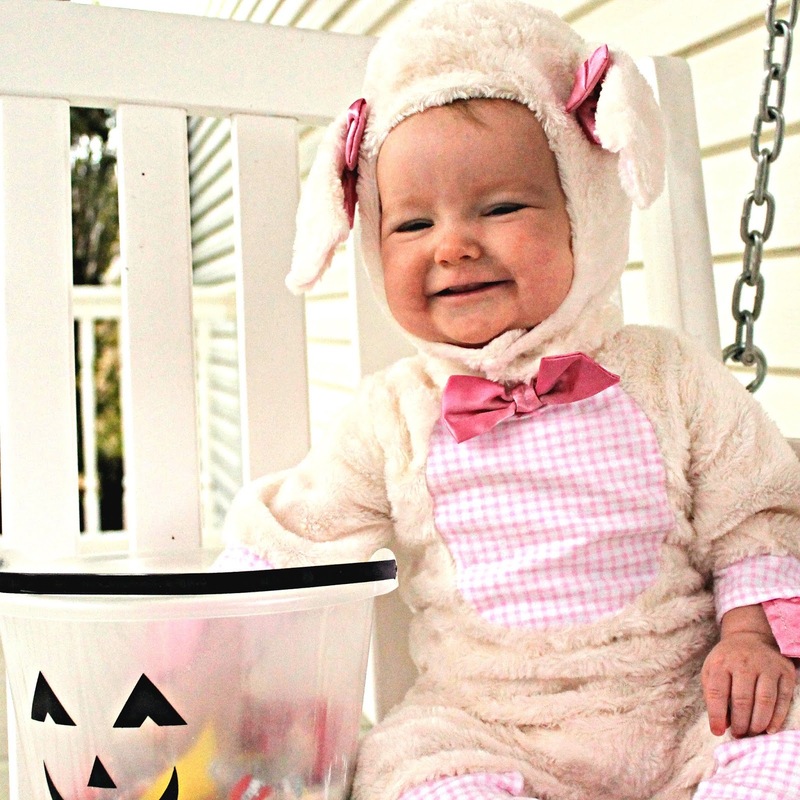 Each number memorized would earn the child a small treat (dum-dum or mini candy) and a punch in their card. 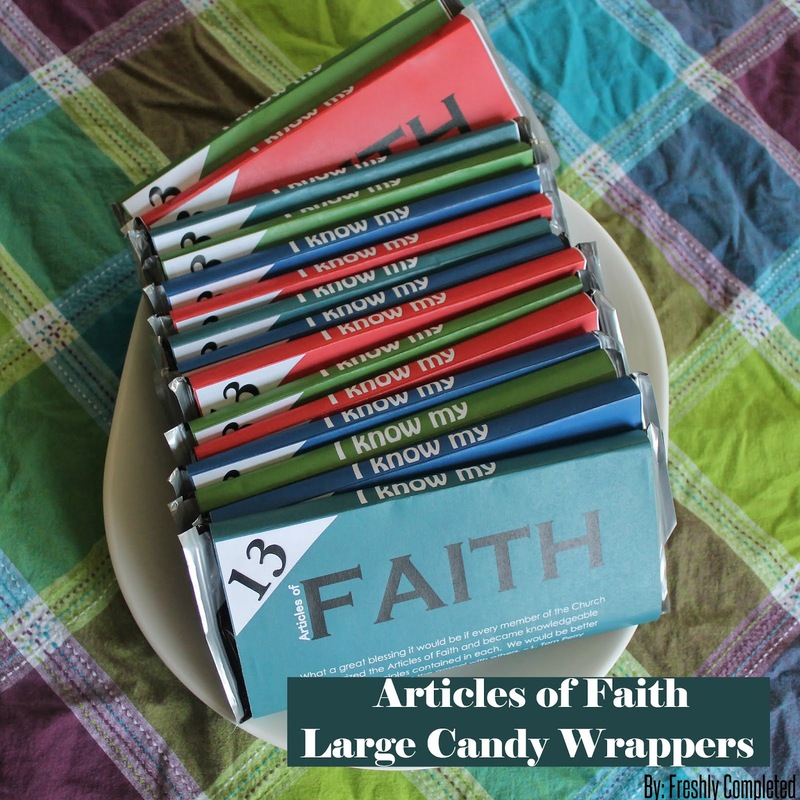 Once all 13 Articles of Faith were memorized we gave each child a large Hershey's Candy Bar. I made these wrappers to go over each candy. 3. One large candy bar per child. 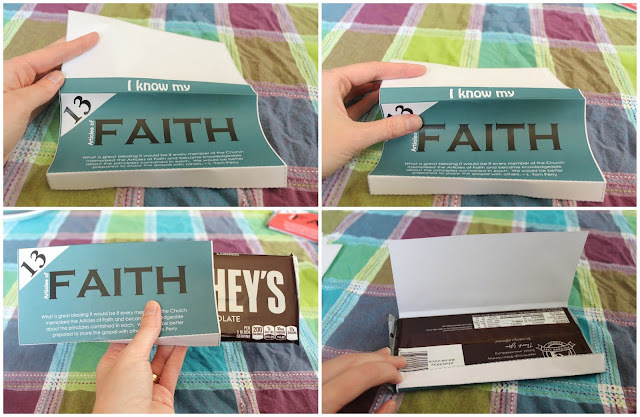 Print off and cut out the Articles of Faith Candy Bar Wrapper. Fold each dotted line in, smooth down with a pen to get crisp edges. Place a small amount of glue on the small edge of the bar wrapper. Once we handed each child their bar, we took them to the hall and took their picture with their Article of Faith chocolate reward. We had them printed with their name and date written on the front. 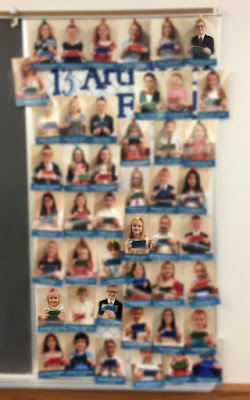 Then we posted the photos to our 13 Articles of Faith board in our Primary room. This is just to give you an idea of what it looked like all together. We have a very large primary and more than half of the children were motivated to learn these Articles of Faith. We were so proud of them! I love the simple, clear truths that these precious children can learn about their faith at such a young age. 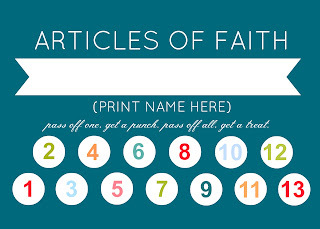 For an Article of Faith paper tracker, go here. This past year our Primary has been working on learning the Articles of Faith. But I wanted to share the Tracker I made for the Primary leaders to follow. 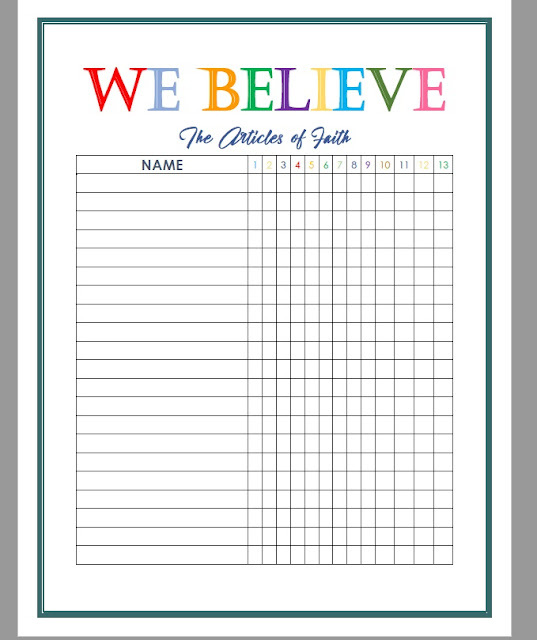 We printed out this Article of Faith Tracker. Then I wrote in all the primary children's name in ABC order by last name. Lastly I tapped it to the inside of our cabinet in the Primary room. 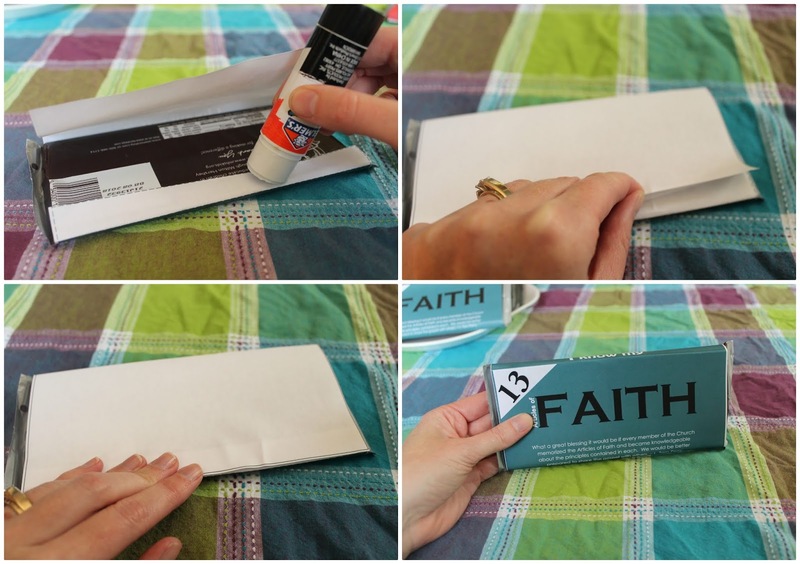 After church, each Sunday, we'd have Articles of Faith time and when the children passed of an article of faith, we would give that number a X. To print off your own Tracker go HERE. This beautiful girl had a birthday recently and turned 8! I had decided months beforehand that I was going to design her a special empire waist, long white dress, with a knit lacy over-lay, using the Building Block Dress Book. I had the idea of what to do all mentally designed in my head. Upon walking in to Jo-Anns, my eye first caught this darling sports cotton with red and blue flowers. I cataloged it away as "something cute", but not what I envisioned and continued looking around for what I had planned. Then I ran into all kinds of problems from fabric choice, to quality, to price. 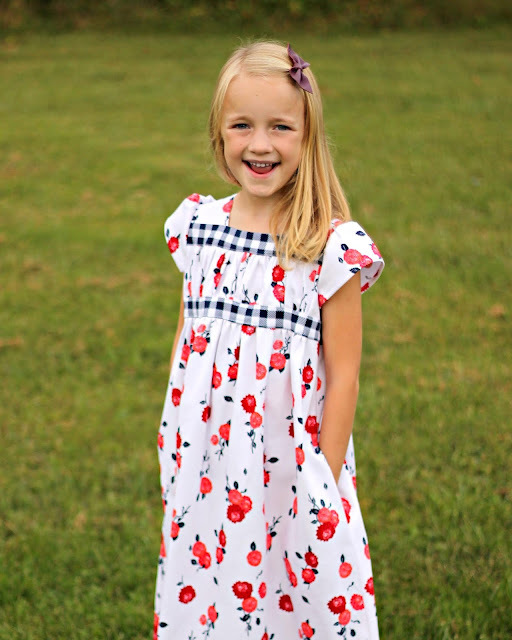 Eventually I circled back to the cute (on sale!) flowered material and instantly changed my vision, remembering the garden party dress pattern I had at home. This is the third time I've made this dress, seen HERE and HERE. Wow, look how she's grown! I love this simple pattern (only ONE button to stitch) that yields really beautiful results. 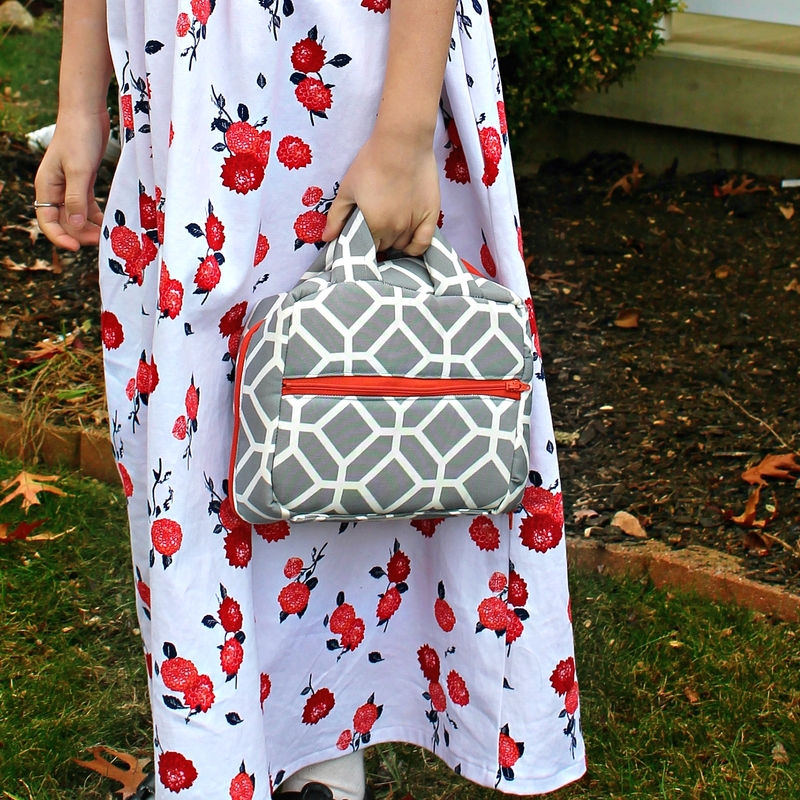 I added inseam pockets, a feature this girl loves! I'm pretty sure every dress I make for her, in the future, must include pockets! I also lengthened the dress by a full 10", so it would be floor length. Which made the dress seem so eloquent. 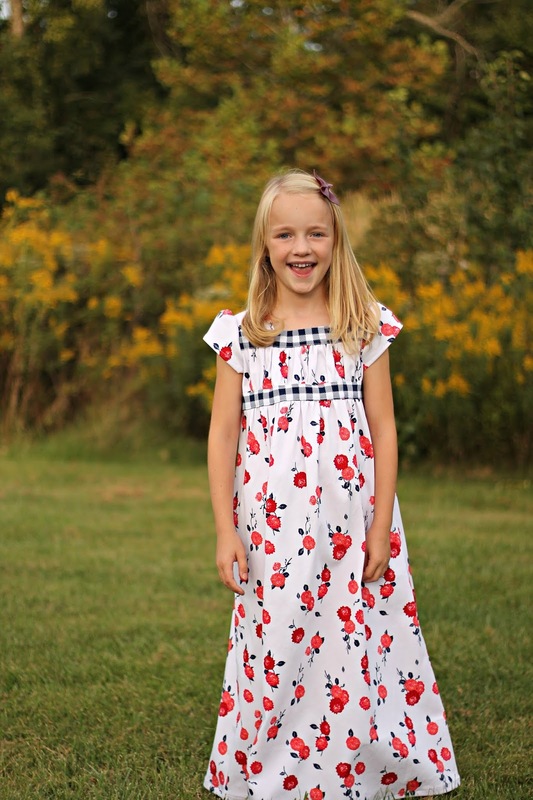 Overall, this dress turned out beautiful and my dear was very thrilled when she saw it! Yay, Halloween has come and gone. One of my favorite holidays since having children. 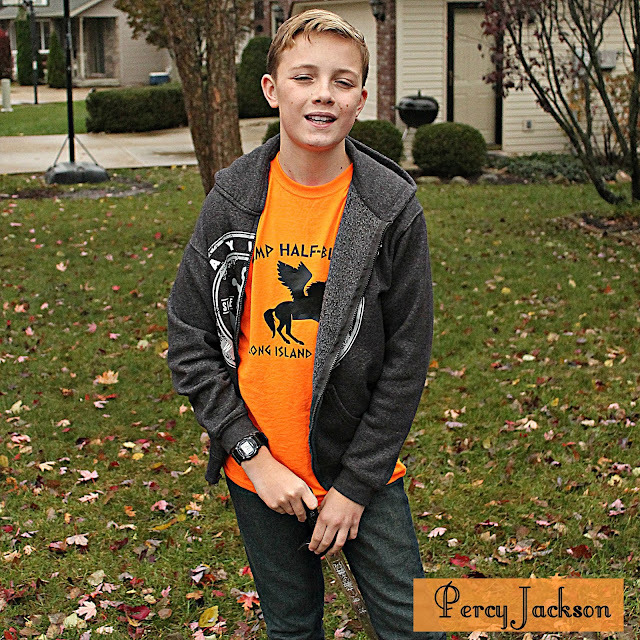 Let's take a look at what everyone was wearing! 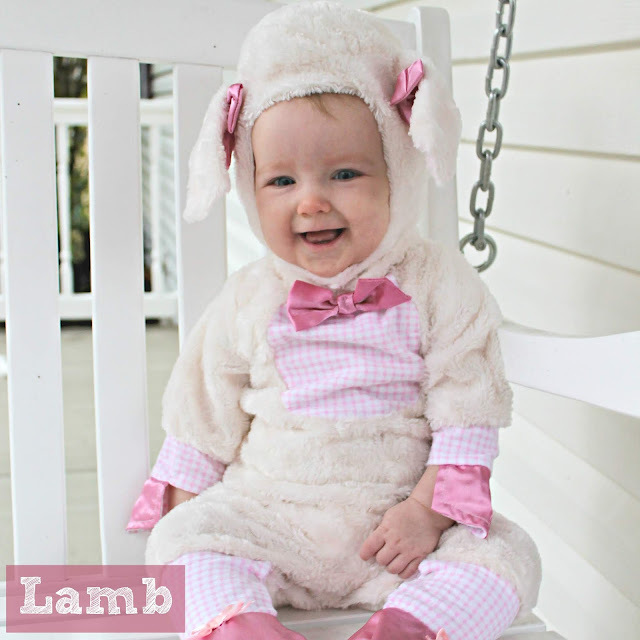 Each of my baby girls have worn this cute lamb costume, which my brother-in-law gave us for our oldest daughter. I Love it! Up next, our Fireman! This boy has been many things this year. 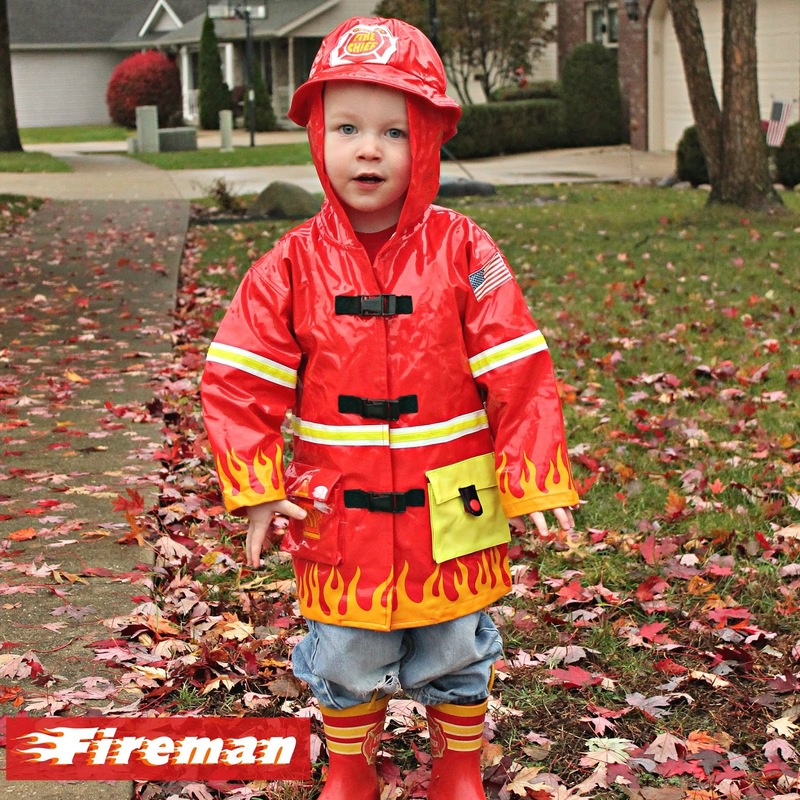 But last minute, due to the constant rain all day, we pulled out his rain boots and realized, "Hey, he's got a full costume that's warm and waterproof. Let's do it!" At two, he's still not totally sure what's going on. 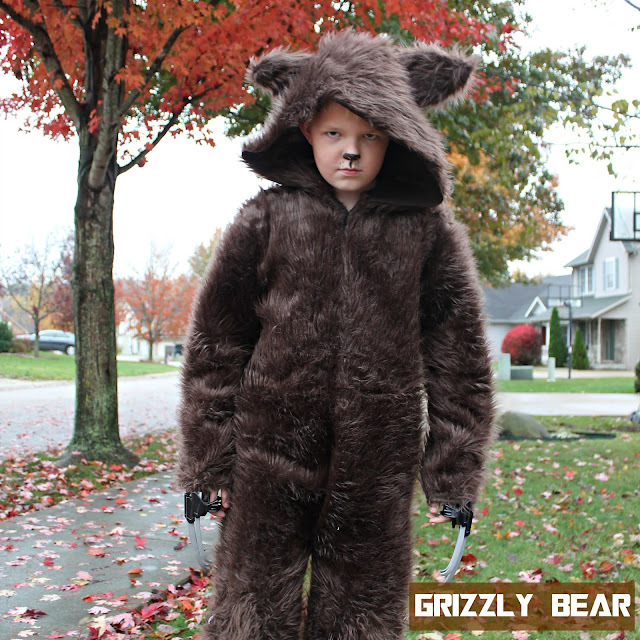 If you ask him what he is for Halloween, he'll tell you, "I puppy." I told the kids we're going real simple this year. We're actually going to dig in the Halloween bucket this year and I'm not making anything! Well, this girl had her heart SET on being Princess Peach. How could I say no? 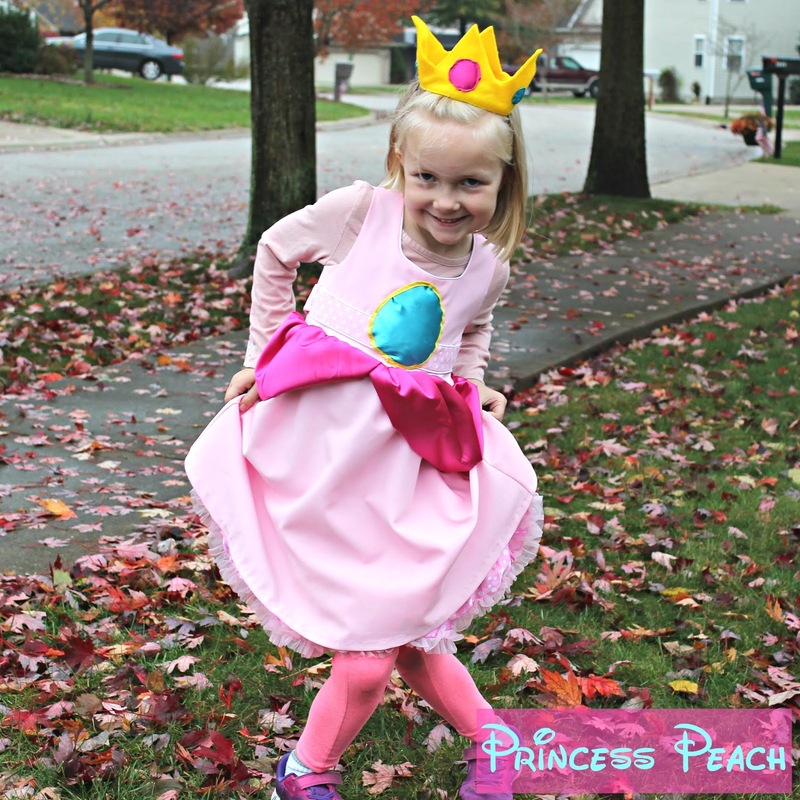 So, with a teeny bit of sewing and $5 worth of purchased fabric, I turned her pink church dress into a Princess Peach costume. For some reason she didn't want to be any of the costumes her sister has was (ex: a scary bat, a scary pirate, a scary skeleton, a peacock). And here's her sister now! Introducing! This girl is half way through Harry Potter, book 2 and she is LOVING IT! Hermione was an easy choice. 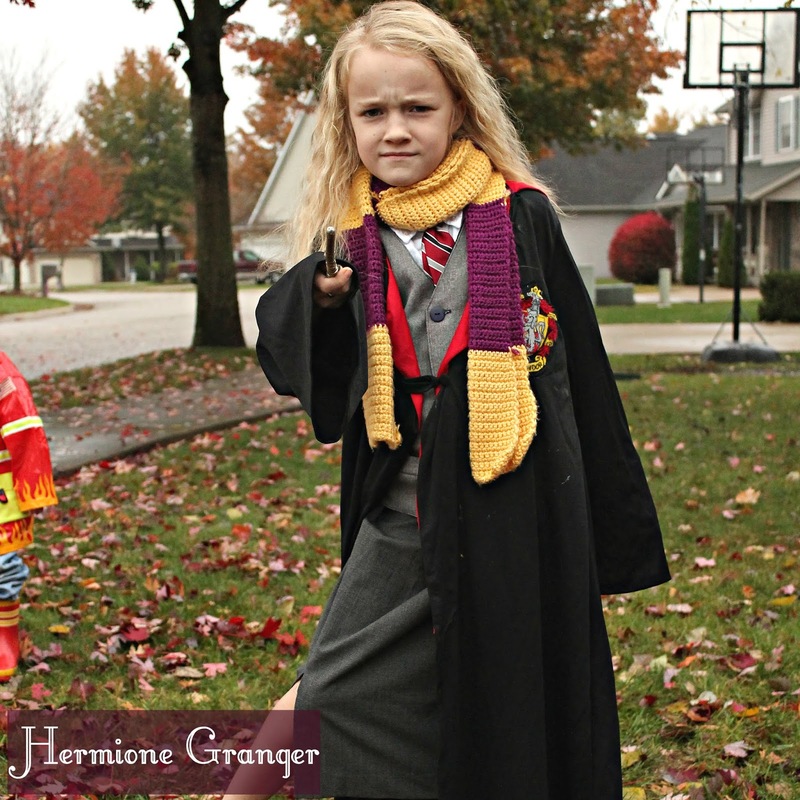 Even if I didn't tell everyone to pick an old costume, I'm sure she would have picked this. She is really loving these magical books. 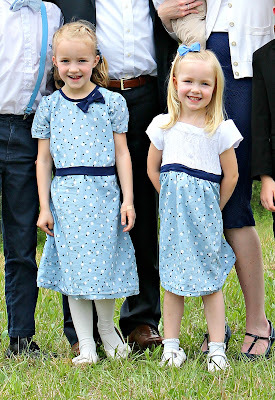 Once she put on her brother's old white shirt/tie/vest and my church skirt rolled up, she looked in the mirror and told me, "Hey, this looks really cool! Can I wear this to school tomorrow?" I think she'd love the preppy uniform look. I had to practically FORCE him to wear this bear nose. He wasn't too keen on wearing face paint. But I think it really helped pull off the look. One minute before this picture was taken he remembered the Black Panther claws he had and added them to his costume, which turned out pretty cool! 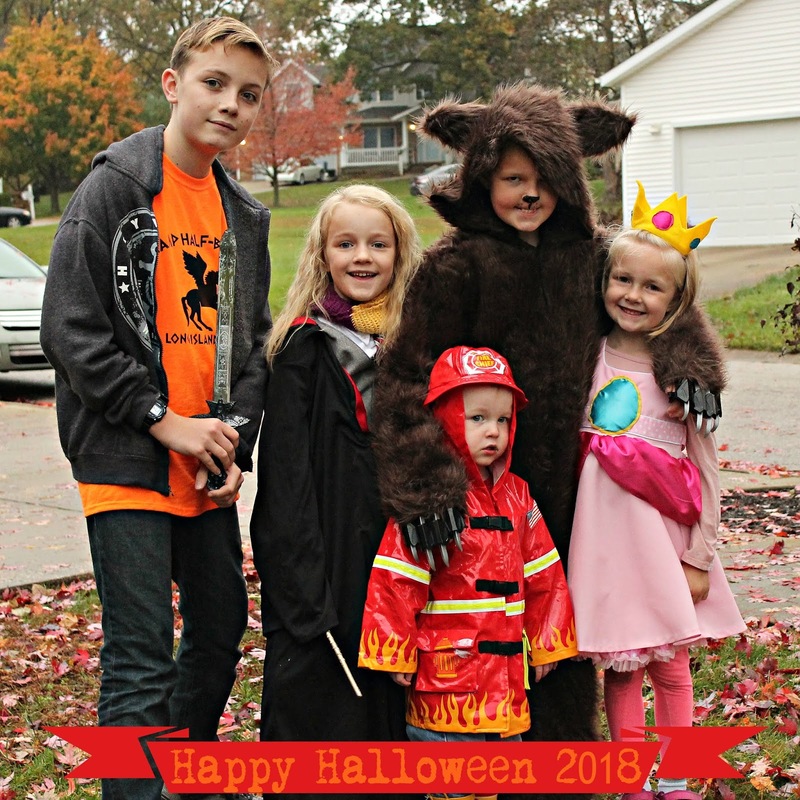 My oldest wasn't quite sure what he was going to be. About a week before Halloween he decided he'd like to be Percy Jackson, which is basically just a kid that sometimes wears an orange camp half-blood shirt. I bought an orange shirt and asked my friend if she could print me out that cool detail on her circuit machine. It turned out great! And super easy for me. And of course, "Cool Action Shots". The night before Halloween we cut out our pumpkins. Two of our kids have had a "decorate a pumpkin as a book character" assignment. With a little paper mache and paint, we've made some pretty cool characters over the years.